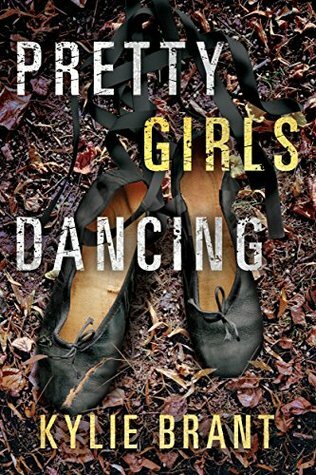 Pretty Girls Dancing was one of the most compelling thrillers I have ever read. I was completely enthralled from beginning to end. Though it may only come in a 370-page package, this book packs so much. It is a haunting representation of the dark and ugly things that happen in the world. The ripple effect of a tragedy that threads and weaves its way forever into the lives of its victims. Author, Kylie Brant, will capture your attention from the very first page and will keep you in her grasp until the very end. She crafted a heartbreaking tale that is told from the perspectives of various different characters. Each character is struggling with their own skeletons and heartache. I loved the subplots of their own stories interwoven with the main storyline. It really made it a dynamic read! The author also delivered the story in such a way where each character breakaway ended with a little bit of a cliffhanger. Leaving you craving for more. I don't think I've ever enjoyed every character in a book like I did in the Pretty Girls Dancing. I truly loved what each character had to offer! Pretty Girls Dancing is an enthralling reading experience that will keep you engrossed the whole way through. You will be taken down a dark road that will keep you guessing until the very last minute! Thank you for your kind words. I'm so pleased that you enjoyed Pretty Girls Dancing!